What kind of expectations should we have from the poor, ignorant people if even the president called Europe a country?! Enjoy reading the following top 10 ten interesting and fun facts about Europe. Since ancient times, Magical Istanbul has united Asia and Europe through the mighty Strait of Bosphorus. Without a doubt, this amazing city is one of the most beautiful places on earth. Istanbul is the only metropolis in the world bridging two continents. Istanbul was Europe’s Capital of Culture in 2010, a program initiated by the European Union. If you are considering breakfast in Asia and lunch in Europe, Istanbul is the place for you! The tallest European volcano is actually one of the most active volcanoes in the world. Etna erupted again this year and one of the most recent eruptions occurred at the end of July. You can look for updates on this topic browsing the website of Istituto Nazionale di Geofisica e Vulcanologia. An English version is available. The volcano’s eruptions have been documented since ancient times, more exactly since 1500 BC. It’s the longest period of documented eruptions in the world. Stromboli is also one of the planet’s most active volcanoes. It is one of the eight Aeolian Islands (Isole Eolie), a volcanic archipelago off the coast. According to specialists, Stromboli is the only active volcano on the European mainland. Mount Vesuvius, best known for its eruption that completely destroyed Pompeii and Herculaneum, last erupted 67 years ago, in 1944. Vatnajökull (Iceland) is the largest European glacier in volume and underneath its ice-cap are at least seven volcanoes located. Europe is home to both the smallest country in the world, Vatican City State (Stato della Città del Vaticano), and the largest, Russia (by both population and area). China is the country with most neighbors (15), followed by Russia (14) and Brazil (10). According to the CIA World Factbook, Russia’s area compromises 17,098,242 sq km (land 16,377,742 sq km; water 720,500 sq km), while Vatican’s area is only 0.44 sq km. The Vatican City State is a UNESCO world heritage centre, the only site to encompass an entire state. Cemeteries are often sad places, but they can also be amusing and entertaining. Sapanta, in Northern Romania, is worldwide famous for its Merry Cemetery, a UNESCO World Heritage site. Sapanta is a unique cemetery and a major touristic attraction. What is so unusual about it? The atypical design of the tombstones. The tombstones are big crosses sculpted from oak wood. They are painted by hand in vivid colors such as red, blue, green, yellow and engraved with funny epitaphs briefly describing the life or the circumstances in which these persons passed away. The man behind this concept is Romanian craftsman Ioan Stan Patras, who started sculpting the crosses in 1935. The ancient culture of the Dacians, the Romanian’s ancestors, viewed death as liberation and the soul as immortal. Sapanta preserves this positive attitude towards death and welcomes it with a smile. Unknown to many of us, the famous Statue of Liberty was designed by Frédéric Bartholdi. The colossal neoclassical sculpture was constructed in France and given as a gift of friendship to the United States of America. Alexandre Gustave Eiffel, the brilliant French engineer behind the Eiffel Tower in Paris, made the statue’s steel framework. The total overall height of the statue is 305 feet, 6 inches, and the seven rays on Lady’s Liberty crown represent the seven continents. Replicas of Lady Liberty have been created all over the world, the most famous being located in France. According to ancient Greek mythology, Europa was a beautiful Phoenician princess. She was the daughter of Agenor, king of Tyre. Zeus felt in love with Europa, so he decided to appear in front of her as a magnificent white bull to gain her trust. Zeus’s power of metamorphosis is a key element in Greek mythology. The princess climbed on the bull’s back and was immediately carried to Crete, where Zeus revealed himself to Europa in all his glory. The king of Gods and Europa had three children – Sarpedon, Minos and Rhadamanthys. Etymologically speaking, the word Europe comes from ancient Greek and means broad, wide-gazing, broad of aspect. 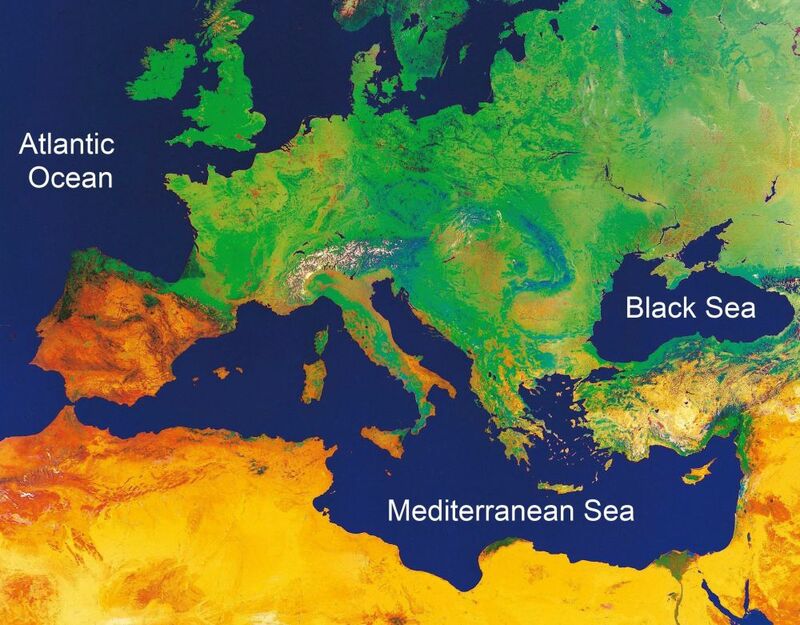 In the last 40 years solid evidence has been found that the Mediterranean Sea frequently dried up completely in the past. The event is also known as the Messinian Salinity Crisis. The amazing story of the discovery is told in “The Mediterranean Was a Desert, Voyage of the Glomar Challenger” by Kenneth J. Hsu. Many of the greatest empires in history were based in Europe. The British Empire was at one time the largest empire in the world. It covered more than 36 million square kilometers and had a population between 480 and 570 million people. At the peak of the Empire’s power, it was said that the “sun never sets” on it, because the sun was always shining on at least one part of the Empire. It covered a quarter of the Earth’s surface. Other notable colonial empires were the Spanish Empire, the Russian Empire, the French Empire, the Portuguese Empire etc. The Roman Empire, a pre-colonial empire, often described as the cradle of modern civilization, was one of the world’s most successful empires. Prepare yourself for some of the longest names officially recognized. It is hard to beat Taumatawhakatangihangakoauauotamateaturipukakapikimaungahoronukupokaiwhenuakitanatahu, the M?ori name for a hill in New Zealand, but let’s give it a try. 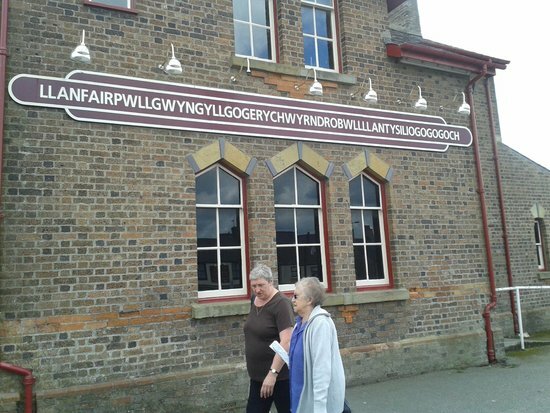 A village in Wales, United Kingdom contains 58 letters and is the longest European one-word place-name. Llanfairpwllgwyngyllgogerychwyrndrobwllllantysiliogogogoch means “Saint Mary’s Church in the hollow of the white hazel near a rapid whirlpool and the Church of St. Tysilio of the red cave.” The shorter version of this name is Llanfairpwllgwyngyll. Check out these other unusually long names: Äteritsiputeritsipuolilautatsijänkä, located in Finland, Siemieniakowszczyzna in Poland and Newtownmountkennedy in Ireland. The “Age of Migrations” remains one of the most unknown facts about Europe. There was a period in history, also called the Migration Period, when various tribes flooded Europe. The first phase of the migration movement came to an end around 500 AD, when the Germanic tribes (Franks, Goths, Saxons, Vandals, Lombards etc.) established their own kingdoms in Central, Western, Southern and SE Europe. This period was followed by the second phase of the Migration Period ((ca. 500-700 AD), the migration of the Slavic people. The invasions of the Avars and Bulgarians, the Muslim Conquest of Sicily, the Hungarian Invasions and the invasion of the Vikings are other important moments in European history. This is how the rich course of history has shaped and defined Europe’s peoples and their intangible culture over the centuries. Russia is indeed the largest country by area. But it’s population of 142,905,208 according to the 2010 census pales in comparison to many other countries population. China has a population of 1,339,724,852 according to a 2010 census, and many other countries such as India, Brazil and the United States have much more people. It is, though, the most populated country in Europe. Beat me to it. According to Wikipedia, Russia is the 9th most populous nation in the world. You would think that everyone would know that China has the largest population in the world, but , as the article indicates, some people don’t know basic facts! Most of Russia is in Asia, not Europe. This things are in the school books like History and Geography.At least from there I know them. Some of these facts (half) are indeed taught in European schools, but Europeans are not the target audience of this article. This is a HUGE mistake: Russia it is not entirely an European country. Only a small part of it is it placed on this continent. “It’s elementary… dear Watson”. Obama is a Harvard educated lawyer, so I’m sure that he knows that Europe contains many countries; he probably meant to say “countries like in Europe” , or “countries like Europe has”. Russia is geographically based in both Europe and Asia. Russia has never quite decided whether it is an European country, or an Asian country. Some claim that Europe and Asia are not actually separate continents. Instead, the European and Asian continents should be treated as one mega-continent called Eurasia. This is because, geographically, there is no real border between Europe and Asia – the choice of the Ural Mountains was largely arbitrary and based on history and politics. I mentioned the European Russia (nearly 4,000,000 sq km). Sheesh, you`d think that was George Bush.. Remember when he said “Africa is a great country.” still, I wish the British Empire was still around. Then Africa wouldn`t be such a dump..
where are all the facts these are all videos,if you wan to have more people come on your website you have to put facts i am looking for the facts! and if you want to not be called losers i cannot blame them. Please check your facts. 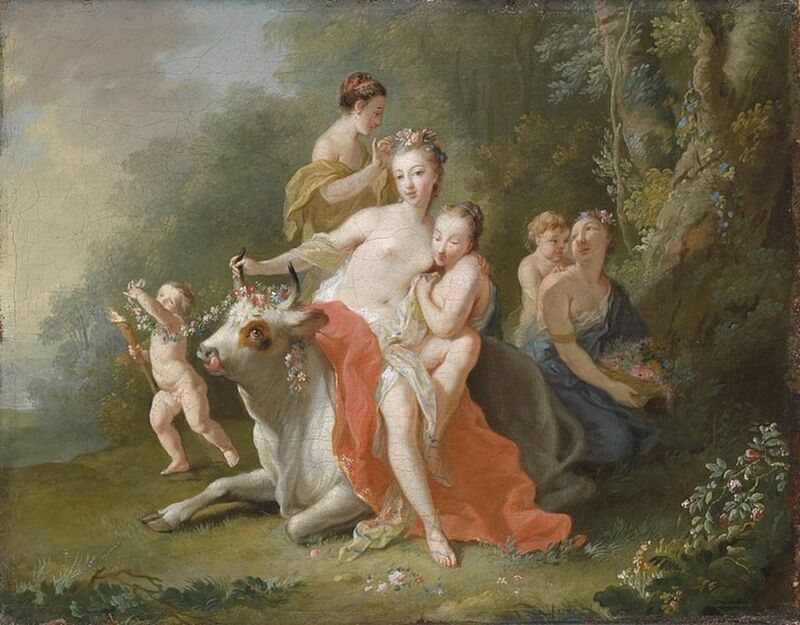 Zeus did not appear as a “white bull” when he seduced Europa; he appeared as “the most beautiful CHESTNUT-COLORED bull”, a color which is far from being white.